Here’s a concept that doesn’t necessarily feature 1000 cores in its CPU, but rather relies on a new touch technology. The handset uses Virtual Touchscreen tech aka ViTo, a control system that allows you to replace the typical touch experience with a gesture based one. This design is created by Andrey Kamaev. The handset you see here incorporates high resolution cameras withdynamic stabilization and infrared range detection. The display contains aside from lines of pixels some sensors with sensitivity to infrared radiation. Infrared pixels will receive light in a narrow spectral range. 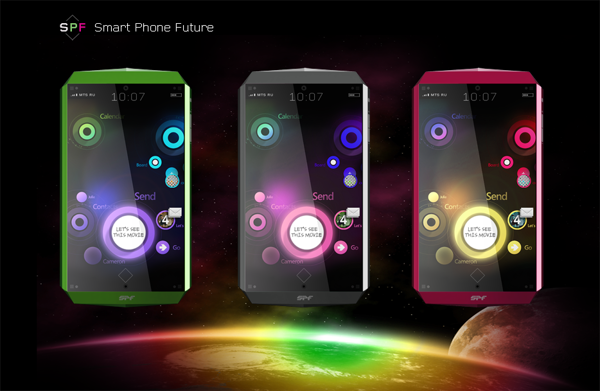 This smartphone of the future also comes with an unique interface and control via voice and gestures. There will be two cameras on the edges of the phone, that will detect your eyes and detect the time needed to focus on a virtual keyboard. 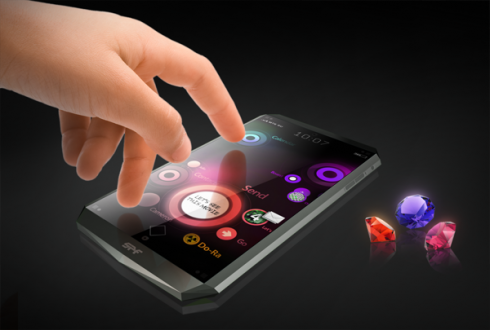 The phone concept “feels” your point of view and the desired key. The smartphone will support induction charging and it will be powered by photovoltaic cells, too, so sun charging is also here.